High Springs Leather belts are made by us in High Springs, Florida USA. 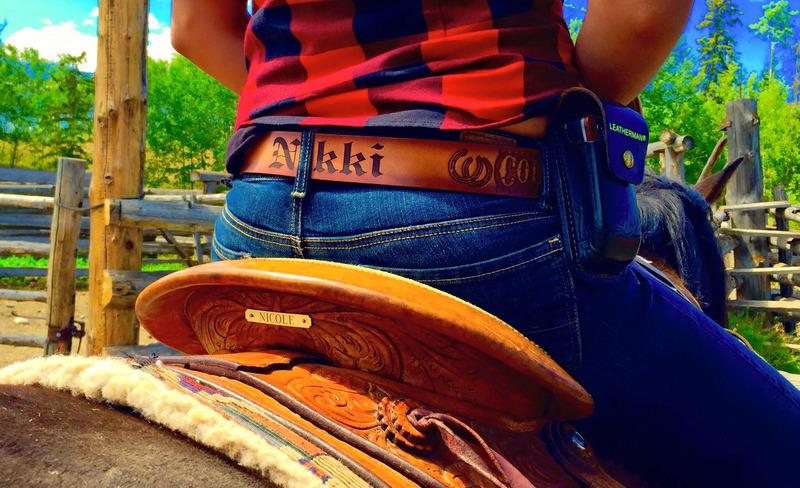 Personalized belts are great gifts. We can personalize belts for groomsmen, wedding party gifts, group discounts, kids belts, and adult leather belts with a name. Choose from fishing belts, eagle belts, deer belts, western belts, country girl belts, rebel belts, redneck belts, wildlife belts and many more! Great ideas for groomsmen and wedding gifts. We have several belts we hand paint including rose belts, rebel flag, eagle, hearts and butterflies and star leather belts and name belts. Several styles of name belts are available in brown and in gray black. If gray black is not pictured you can look also see under title or email us.